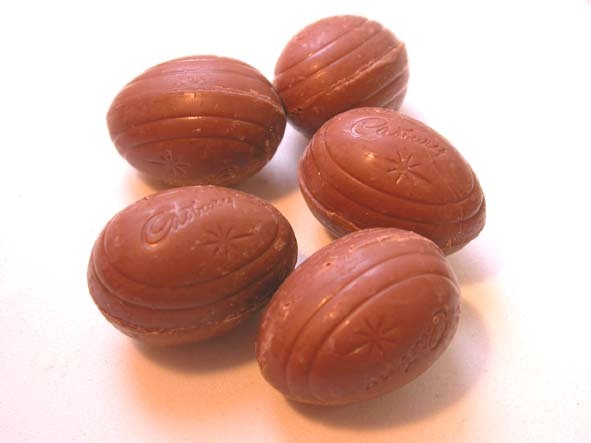 A 57.5g bag of Cadbury Creme Egg Minis gives you five small eggs. There are two plus points to the size, one: they are still big enough to bite, if you are daintily inclined and two: they are small enough to eat in one go, allowing the egg the melt wholeheartedly. 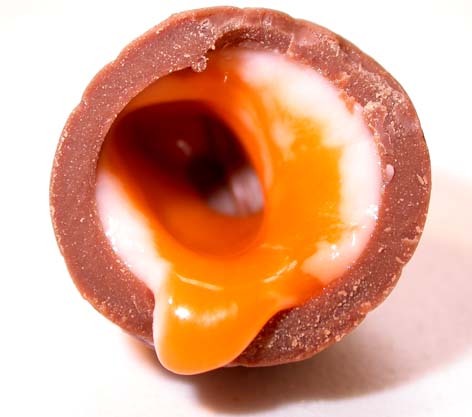 Satisfaction is totally missing after one egg and to be perfectly honest the satisfied feeling one gets from the real Creme Egg Experience just doesn’t occur, even after all five. Perhaps it’s the chocolate: fondant ratio that is wrong..? Maybe the intentions were good with the making of these eggs, and in theory the ratio should work, but all of the five eggs from this packet had a large air pocket where fondant filling should have been. The only time I can see these minis being a preference over the real, full size Creme Egg is if you want to sneak-eat chocolate when the boss isn’t looking, but then again, when you have individual chocolates you really need to share don’t you? … Don’t you? Filed under cadbury, eggs, fondant, uk. I think there’s just not enough fondant. And not enough chocolate! Thinking about it, I’d much prefer “Giant Creme Eggs”. Proper easter egg size. With fondant. 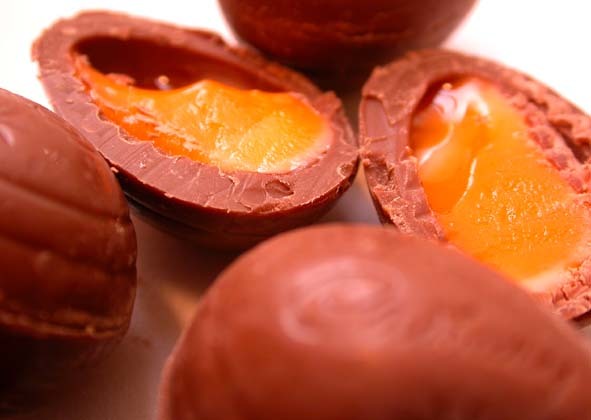 O I’d much rather have the Mini Eggs – the ones that are covered in a yummy crispy shell. I can eat a whole 250g bag in one sitting!